This entry was posted in 80s Fantasy Flick, Movies and tagged 80s fantasy, 80s movies, Conan the Destroyer, Eclectic Theist. 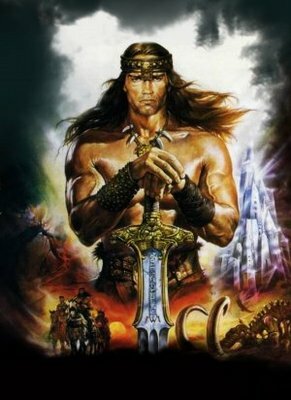 I liked both Conan movies. He was my heroe through the 80’s. Did you know that they made some muscles figurines with Arnies head on them in the 80’s too. This caused a copyright infringement so the toy manufacturer changed the heads and Tadaa… “He-Man” was born. The toys came before the cartoon. Usually it’s the reverse. Thanks for stopping by, and for the comment! Did you ever watch “Red Sonja”? I thought it was decent, too. I had no idea about that issue causing He-Man. That’s pretty interesting, actually. I wonder how such a copyright suit would play out today. Check at a local library an see if the can inter library loan it for you. That’s how I got my hands in it.